Printed from http://www.bodytalksystem.com//learn/news/article.cfm?id=1042 on Apr 22, 2019. Animals are highly sentient feeling beings. Their wisdom is extraordinary and profound, and is best illuminated through the art of animal communication. When we talk to them energetically and telepathically, we discover that they are in fact intelligent, evolved, connected spiritual beings. In taking a stand for animal intelligence it is necessary to embrace our intuitive, subtle senses. Universal consciousness--the unified field of energy between humans and animals where understanding can take place nonverbally--exists for all of us when we know how to tap into it (BodyTalk pun intended). I believe animals are leading us to a greater humanity; all we have to do is stop for a moment to listen and trust our own intuitive voice. 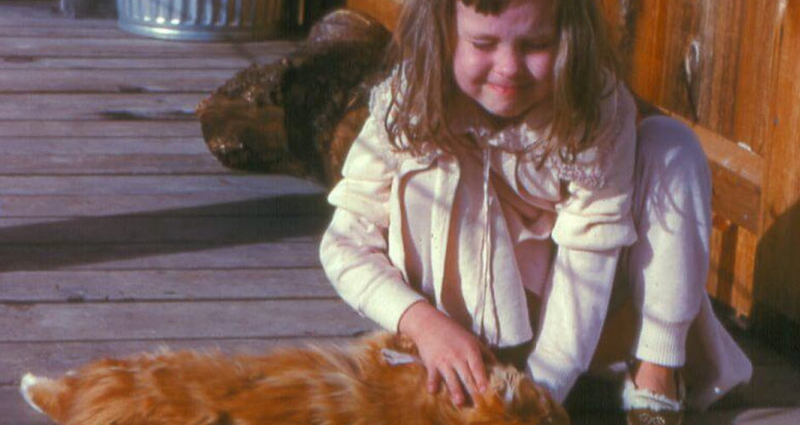 Val Heart Animal Whisperer as a child. Animals are angels, teachers, guides and healers, master gurus disguised as other species. When we learn to respect, recognize and revere them for who they truly are, they help make us better people. As part of our quantum soulmate community, we heal, evolve and grow together. Animals are in our lives for a reason. If you have pets in your life, you know that when you find the right animal, you are drawn to each other like magnets. Animal lovers know that when they lose an animal, often they grieve longer and harder than they do for lost human friends and family. That's because animals get nearer to your heart than most humans can. They know us and connect at such deep, profound levels. 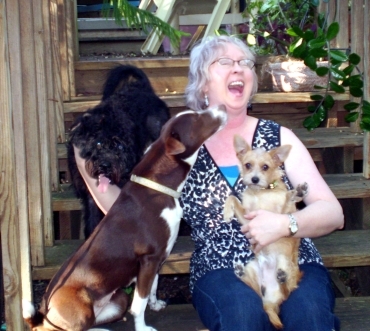 That's critically important to know because as a PaRama-level BodyTalk practitioner for people and animals and one of the leading professional animal communicators, I've discovered that the best way to begin an animal healing session is to talk to them first. Why? Because they know things that we don't know. They are consciously aware and fully present, connected to the unseen spirit and energetic world around us. Animals often have stories that must be heard before they can let them go and heal. Did you know animals reflect us? That's right, they do! The Human Animal BodyMind Connection is a fascinating phenomenon and needs to be investigated much more fully. Through the gift of animal communication and by working with thousands of animals for more than 25 years, I've learned that animals mirror their people. That means they can carry your pain, your illness, your stress, and your wounds. They then act out your issues by either getting sick or behaving badly. Sometimes they carry your issues to the grave with them in an effort to help you heal, evolve and grow. When we communicate with them, we find out where the real problems are coming from. If the issues are our own, then we must take the responsibility to do our inner work and healing. This frees them up to be themselves again, enjoying life on their own terms. Until our next wound is triggered and so the cycle continues. Many times, my clients come to me originally to solve a health or behavior problem their pet is experiencing, only to discover that the problem is their own. Once the animal has redirected us back to healing their person, then the animal's relief is palpable and immediate. If they were sick, then they get better fast. If their behavior was bad, then they adjust quickly. So, the bottom line is, an animal's wellbeing is a direct reflection of their person's as well as their own self journey. When we understand this energetic connection and then open the conversation to include this phenomenon, then the true healing begins for both animals and their people. Many native communities live closer to Mother Earth and all her creation. They know that to stay healthy personally and to keep their community in balance, they must be connected with the animals, the earth, the sky and the spirits around them. Animals are considered messengers of the gods. They treat animals with great respect and honor, listening and learning from them on many levels. Vision quests are about this very concept. We rediscover our connection with the planet and our own divine nature when we reconnect and commune with other species. Other beings in our lives often serve us by reflecting back to us the lessons we are here to learn. Companion animals choose to spend their lives attempting to break through our barriers, help us heal and become reconnected with all Life. They touch our hearts and for that we are forever grateful.